I hate having my cupboards filled with toxic cleaners. But it’s also important that what I use does the job. 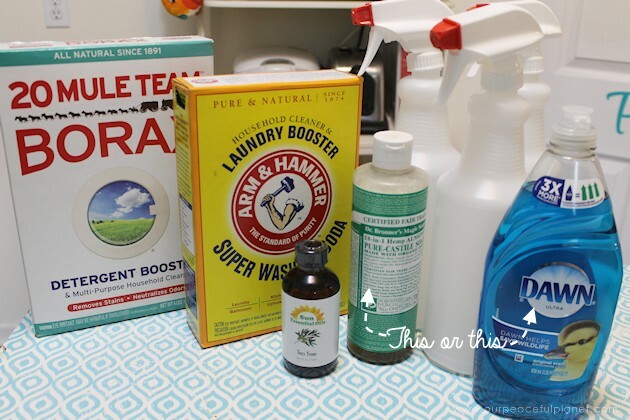 I needed not only a good natural cleaner but a good DIY disinfectant cleaner. After going through several recipes and doing some research I’ve come up with one I feel good about. 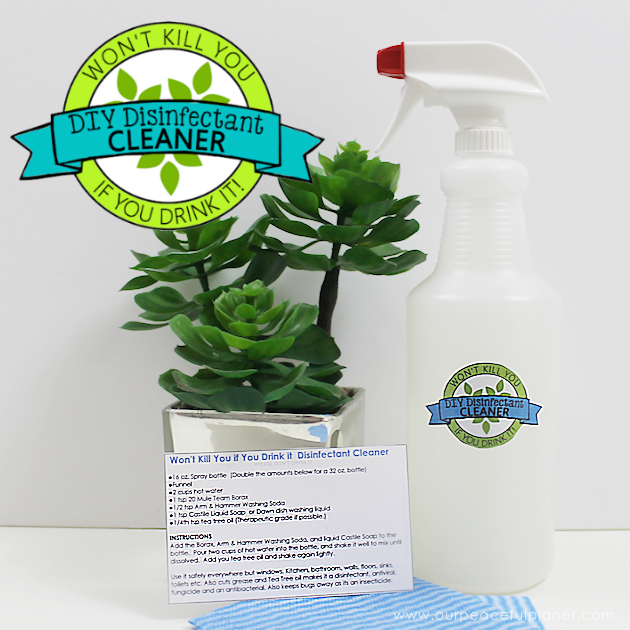 This is a heavy duty cleaner and disinfectant. It can be used in the kitchen because it cuts grease and in the bathroom because it’s a disinfectant. In fact, you can use it pretty much for anything other than to clean windows. I keep a bottle in my kitchen and one in each bathroom under the sinks. 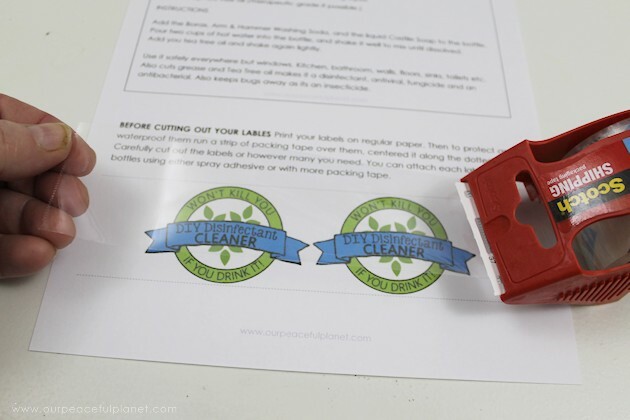 If you’re looking for other great cleaning ideas check out our Cleaning Tips: Speed Dusting and our 3 Box Rule Dejunking post! 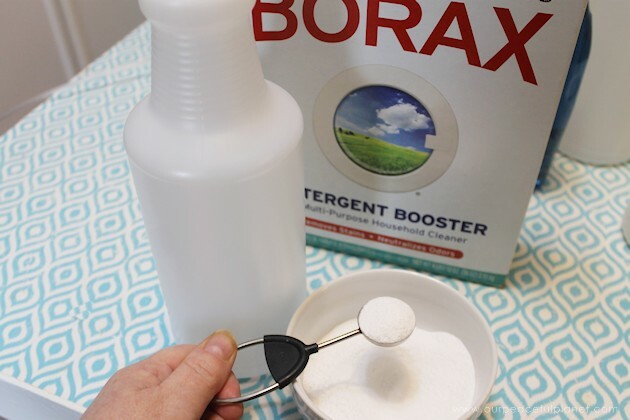 Though this cleaner does not have toxic chemicals, as with most soaps if kids drink it they will most likely puke. Ü Still best to keep it somewhere safe. 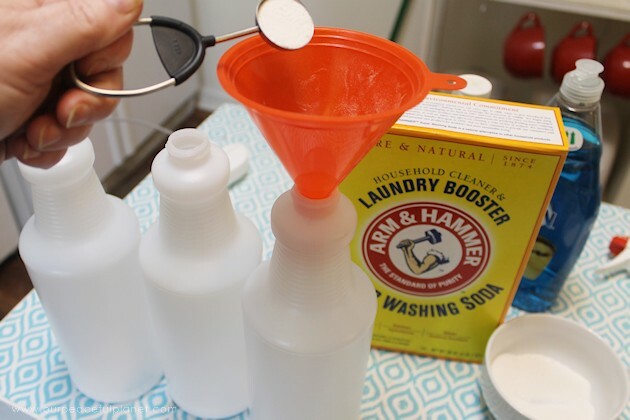 Arm & Hammer Washing Soda (Borax and Washing Soda sold as a Set on Amazon. It’s much cheaper at your local Walmart. Tea tree oil* (Always use therapeutic grade if you can. The one you see in my photo is NOT. My bad. 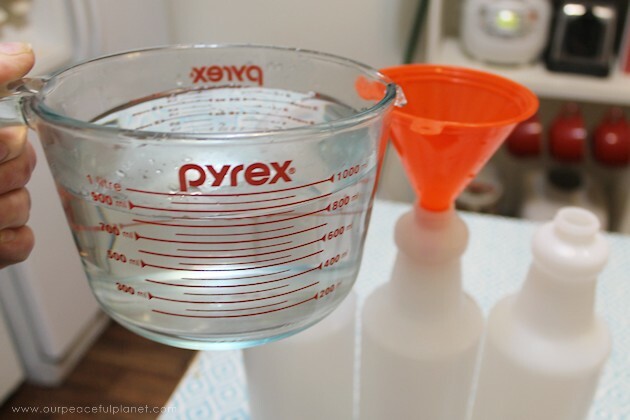 About Castile Soap: If you can use it then do. If not Dawn dish liquid will work and it cuts grease well. Its of course not natural. 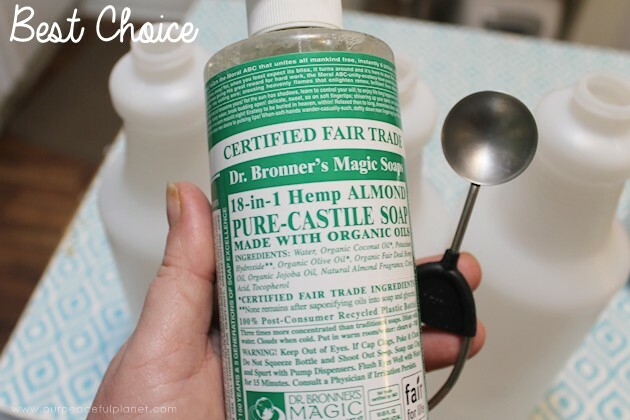 Castile soap has been around for a long time and can be purchased online and some stores and health stores carry it. It’s an all in one soap that is a chemically free all natural product. Just a few of the things you can use it for besides this recipe and you can google for many more recipes: Hands, skin, sensitive face wash, shampoo, bubble bath, remove pesticides from fruit and vegetables, dishwasher detergent, laundry detergent, all purpose household cleaner, dog shampoo. 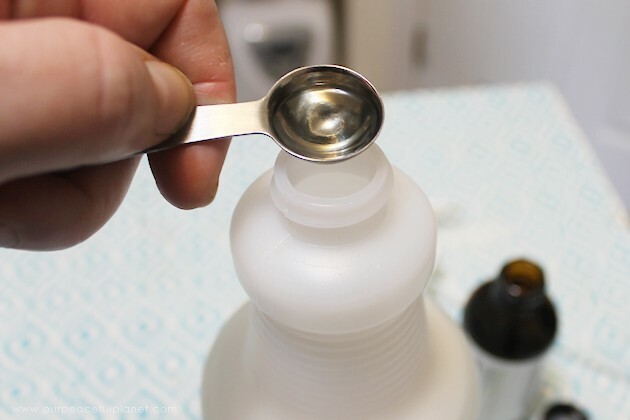 About Tea Tree Oil: This is the mother of all essential oils You MUST put the tea tree oil in if you want it to be a disinfectant. (As an added plus, the oil also makes things shine!) 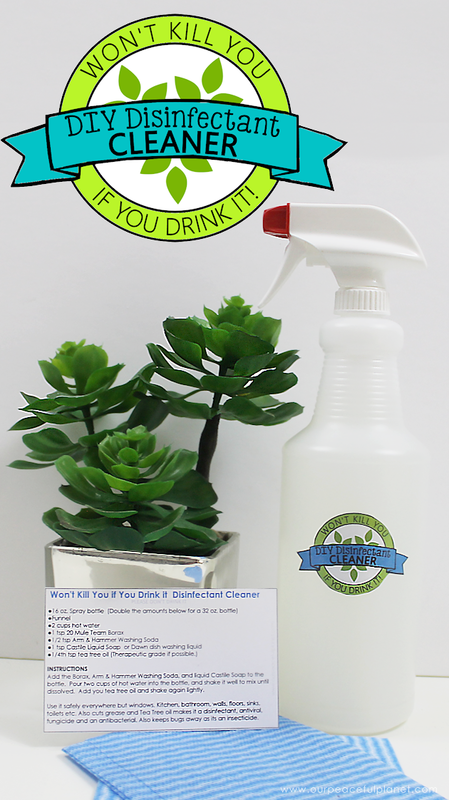 Tea tree oil is an antiviral, an fungicide and an antibacterial. It’s one of the only things that will kill the MRSA virus. (Check out our post with photos MRSA Staff Infection Healed Naturally) It’s also a insecticide so it will help keep bugs away. So definitely put it in your cleaner. Gather your supplies. FYI the tea tree oil seen is NOT therapeutic level. I switched mine out. 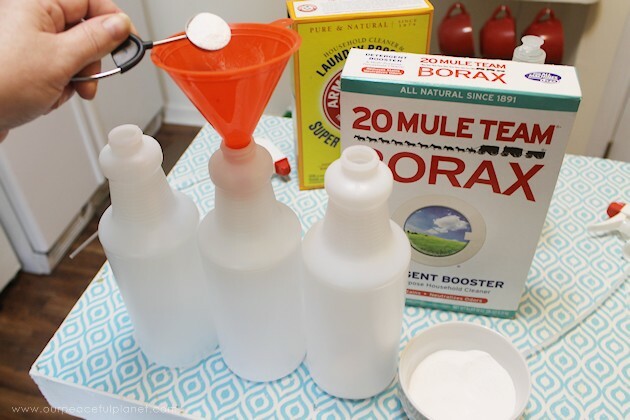 Add your Borax first. I used 32 ounce bottles so I don’t have to refill them as often. I line them up as I keep three bottles filled at all times. Using a funnel makes it much easier. I strongly suggest using Pure Castile Liquid Soap because of its qualities. You can use this stuff for anything from washing your hair and body to cleaning the toilet. Its amazing. 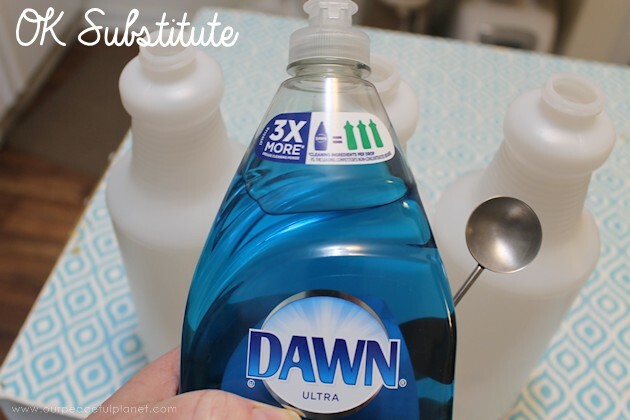 However you can use Dawn dish detergent as a substitute. Much less natural but it will work. Add in 2 cups of hot water for a 16 oz bottle or in my case 4 cups for a 32 oz. 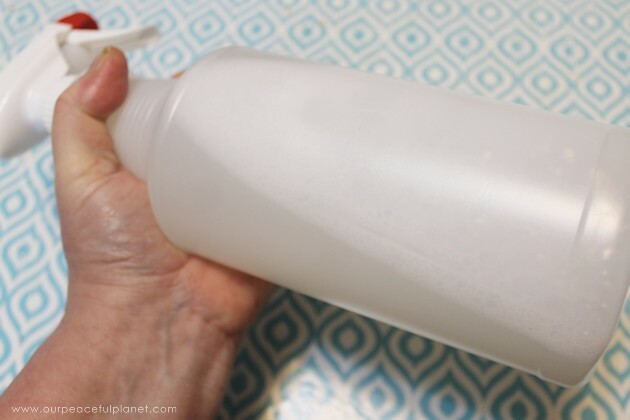 Shake the bottle to dissolve the powders. Add in your tea tree oil. Lightly shake to mix. That’s it! 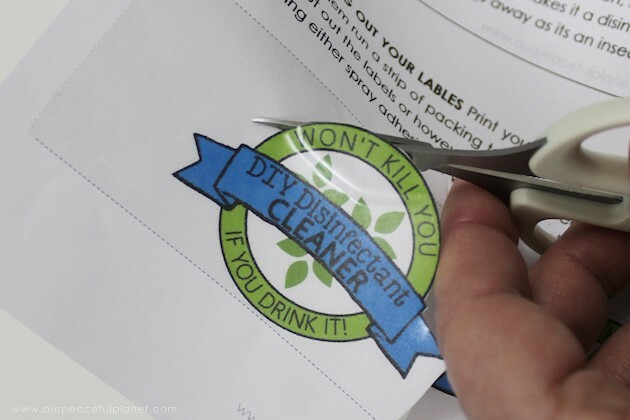 We created some lovely labels and printable recipes for the cleaner. 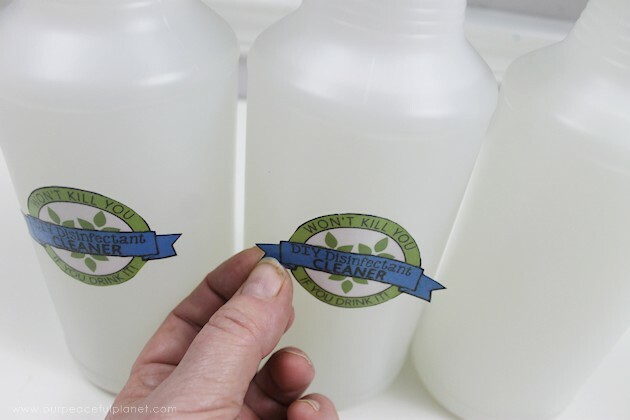 To water proof your label run a strip of packing tape over them. 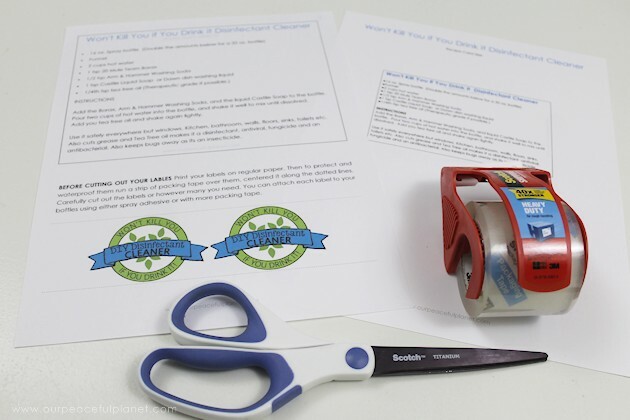 Carefully cut them out. Small detail scissors help with that. 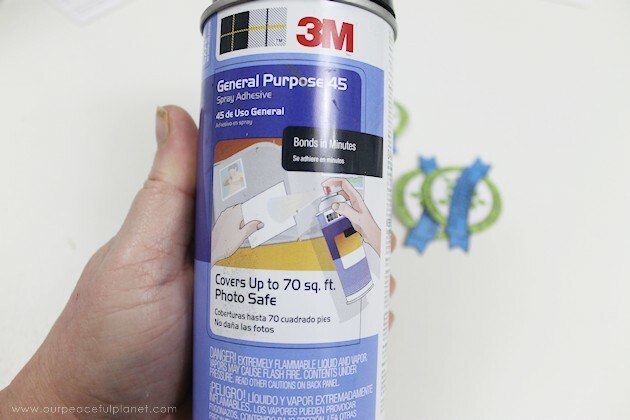 You can tape them on or I prefer to use spray adhesive. I sprayed the back of each label. Then place them on the bottle and hold them in place for a few seconds. I love cleaning the natural way. Thanks for sharing. You’re welcome Maria. Thanks for stopping by! Previous: Easy Room Divider for a Gorgeous Global Library Laundry Room Combo!